Make your next stay in downtown Columbus memorable. 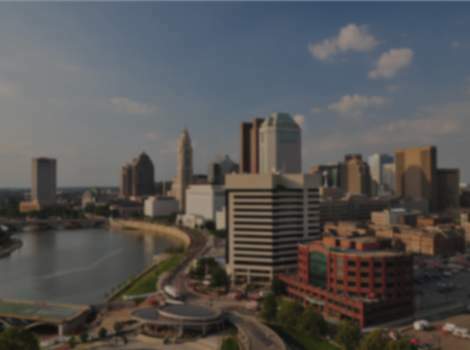 Located in the city's most desirable location, the Crowne Plaza Hotel Columbus Downtown is attached via enclosed walkway to Nationwide Insurance headquarters, the Greater Columbus Convention Center and Battelle Hall, Ohio’s largest ballroom. Our hotel is within walking distance to the sizzling nightlife of the Arena District, eclectic shops of the North Market, and the boutique shopping and art galleries of the Short North Arts District. The Crowne Plaza Columbus Downtown is steps away from everything, from commerce and government to conventions and events. Nationwide Arena and Huntington Park are just blocks away. A state-of-the-art movie theater, athletic club and indoor ice skating rink are just three blocks away. Just outside our doors are over 100 different restaurants, shops and nightlife venues for your enjoyment. Our hotel offers complimentary shuttle service within a three mile radius to get you where you need to go. We truly are the place to meet and have fun while doing it, with 375 guest rooms featuring four designer suites and 10,000 sq. ft. of flexible meeting space. Crowne Plaza is located just minutes from the Columbus Museum of Art, COSI, German Village, Victorian Village and The Ohio State University. The Crowne Plaza Columbus Downtown provides the perfect setting for successful business meetings, memorable social gatherings and exquisite wedding receptions. We also have dining options to fit everyone’s palette. From our cozy Boulevard Cafe, featuring an outdoor patio, specialty coffees, gourmet pastries and grab and go selections, to our hip and energetic Boulevard Bar, serving up lively libations. All of this inside a promenade of floor to ceiling windows overlooking our outdoor firepit on our private patio. An in-house Max & Erma's Restaurant is open for breakfast, lunch and dinner featuring casual, American cuisine.